Carly owns an elite bespoke personal training studio with her husband, Elia Siaperas. Located in N22 and N20, North London. This is an exclusive one-to-one personal training space for Carly and her clients to train. I've have been training with Carly periodically for the last 2 years and whenever I do I see the results that I desire very quickly, thanks to the varied and dynamic workouts that Carly devises. After my work took me away to America for a year, my diet and training left a lot to be desired, so when I landed I got straight back in touch with Carly. With a mixture of high-intensity training and lifting weights (something that I have developed a slight passion for thanks to Carly) after 5 weeks (10 sessions) I could already the see the results. Training with Carly is great fun and something that I look forward to – she is such a great teacher and a wonderful supporter. 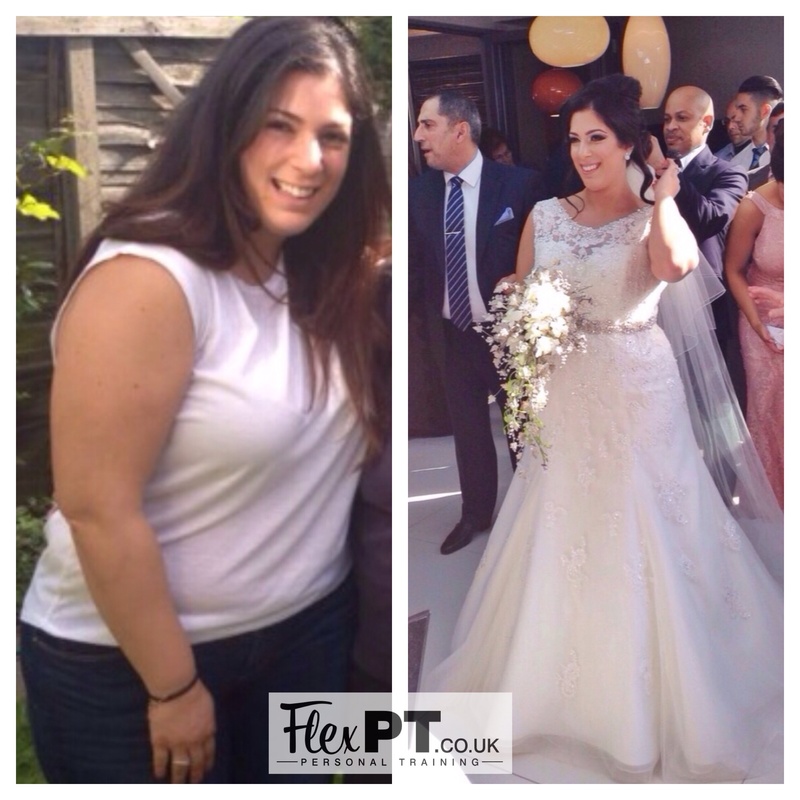 After always having struggled with my weight, getting married was the reason I started to train with Carly at FlexPT. It was tough and at times testing, but Carly was there throughout to motivate and encourage me at times when giving up was an option. She was by my side and always on hand even outside of the studio to help me reach my goal. Words cannot thank her enough ... I felt amazing on my special day! If somebody told me I would enter a fitness competition in a bikini and high heels at 47 years old I would have said they where crazy ... and then I met Carly. What can I say apart from thank you for giving me my body back (actually I don't even think I had this body at 20). Nobody has seen my before bum picture, but I'm happy to share it ( it's so bad ), just to show you how great it is now. Thank You Carly ... I am eternally grateful ... and so is my husband!!! I've been working with Carly for 17 months and what a difference the right trainer and diet can do for you. When people have asked me how I did it? (got my body back) I say I just did as I was told ... and it worked ... Carly says I did all the work ... yes I did but without her amazing training programmes, the diet she tailor-made for me, her enthusiasm and the fact she really was there day and night for me. The proof is in the pudding (or not). I have a bum any woman half my age would be thrilled to have – a stomach that have never been so flat and thighs that I never thought were possible. FOR MORE INFORMATION AND PRICES ON GROUP OR ONE-TO-ONE PERSONAL TRAINING – CLICK HERE.